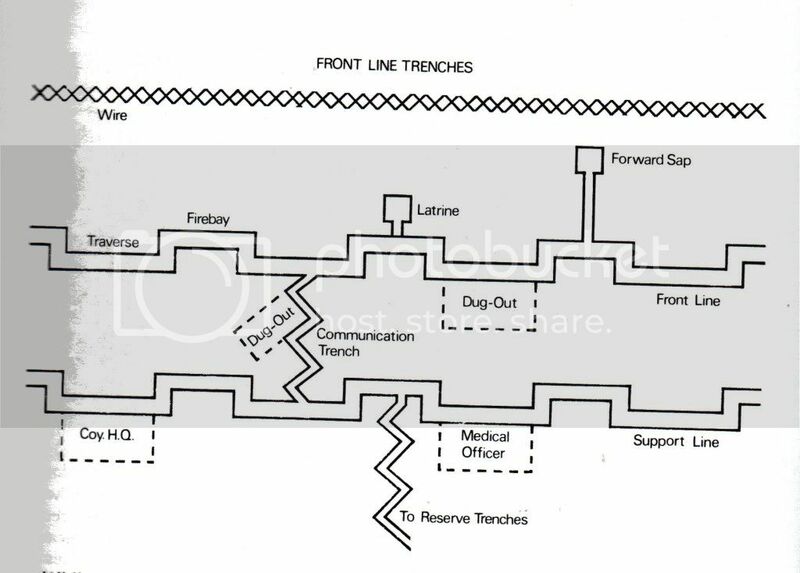 Ground Set: Trenches - Which one? My name is Antal Kéninger, lordzsezse in this forum, and I'm working in the team of Lord Zsezse Works with my friend, Zoltán Bárány. I had started to visit this forum few months ago, but some days before I joined to this great commune. I live in Hungary and English is my third language, so sorry about my grammatical mistakes. I've started my new Ground Set and I can't decide which version would be better. The first one is the classic Ground Set (6x6 inch sized tiles), that will include about 60-80 tiles. The second one is a bit different with cut-able trench parts, which you can lay down on a bigger map. The map size would be about 30x40 inches. So why not both? When there is possibility of offering a more complete product that meets the needs of more people. I personally, but this is just a personal preference, not a criticism because everyone does what they prefer when it is legitimate, do not like a product used too much. I see sets sold in different formats, tiles sold with and without interlocking, maps sold whole and in parts ... And I don't like very much it. But this is only my personal opinion. PS: I see your sets when they are published on rpgnow. Very good. I like 3d buildings ( watermill, moderns ... ) and tiles and maps too. But they ( tiles and maps ) give me idea of being a bit darkish ( my fault I have not bought just one set yet to to verify my impression directly ). you can produce both, the larger of the two would great as a better field for GW's 40K, WW1/2 type games, where are the tiles would work well with warhammer quest/questing games, where the game is play a tile at a time. Yes, it's a big trap for us. We have a lot of ideas for one product and we have to choose one that will be the final. And sometimes it will be two like now. Do you mean these are dark in color (hard to print) or dark like ghothic dark (horrific-ish)? I start by saying again that this is just a personal impression, a personal taste for bright/clear colors (even they are dark). Or is it a resolution ( dpi ) matter? Most products have a bit cartoon style and our products are realistic (at least, we would like to do realistic maps/tiles). I don't think it depends on the resolution much better on the artist. Yes. it is possible. It is only a ( my ) personal taste at the end. I need buy somethings from you and then we can talk again. Antal - I have purchased a number of your models, and admire your style very much. Both of your trench systems look very good. For decades, when I have wanted to play games with World War I figures, I have stretched rolls of brown paper across a tabletop and drawn the trench system on the paper using marker pens. I would pay money to be able to have a tabletop that looks as good as yours. I have the Fat Dragon trench system, and I like it for playing small skirmish games, but building enough 3-D pieces to cover a tabletop seems daunting to me. Also, the green grass on the pieces doesn't seem as authentic to World War I as your mud, churned up by artillery shells. I would prefer to cut out modular pieces and lay them out on the 30X40 inch map sheet. If you publish a 30X40 inch map sheet, and the trench segments on 6x6 inch pieces, it seems that it would be easy enough to simply trim the trench segments out of the 6X6 pieces, but that might use more ink than some people are able to waste. Maybe, it would work if you published a product with a 30X40 inch map sheet, a set of trench pieces that can be printed out without backgrounds that could simply be cut out, and another set of trench pieces that can be printed out on the 6X6 inch backgrounds. Thank you for asking for our input. It is a pleasure to speak directly with a person whose work I have admired and bought! It gives (ie Modular version NOT blondie;) more flexibility and customization -- not being too time-consuming or complicated at the same time -- so it's a real advantage here. Plus I like "dark" colors and realistic patterns in context of WWI /II or WWW trenches. Very nice project in overall! Let me begin with saying that you are one of the best map designers in the craft... hands down. Your English is very good, too. I enjoy your work, and look forward to being able to use these trenches. Rhannon showed FDG's trenches, but I prefer YOURS. The reason why, trenches are UNDERGROUND. To have a hill, then a trench, then a hill doesn't make sense. I understand why they did that, but when playing if doesn't "feel" right. With yours, you can place it directly on the table, and still check line of sight. Sure you have to "pretend" a little when using it, but it sure beats cutting trenches out of the kitchen table! I hope to buy these soon. 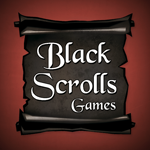 I am finishing up a couple fantasy projects, and want to use these for my ERA OF WAR games! Stevelortz, I've inspired by your sample; I think I will put some new stuffs into my set, thanks! I have a lot sample but this one is very useful. We use square grid for our sets on a layer in the PDF file, but is it necessary to include hex grid into this product? If it is do you can send me an example to know the correct size? I've never used hex based stuffs. Thx! I play GURPS, that uses 1 inch (side to side, not edge to edge) hexes. I think 1 inch hexes are the default option in wargames. 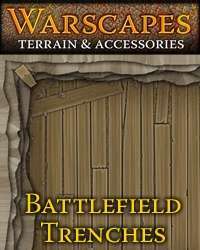 the Ground Set version of Trenches is available on RPGNow and soon on Paizo.com, too. This is the version that includes 6x6 inch sized tiles and I hope I will be able to release the Modular version after a couple of days. That is what will include the big map and the cut-able trench pieces. I would like to say thanks for your help! a question for the" fat dragon games" trenches, we can used it for 28 mm ; i will have no problem for printing it to a big size ?